Xbox Music is almost gone for good, and its replacement is looking a lot better. Microsoft’s rebranding of Xbox Music is nearly complete with the arrival of Groove music for Android and the web. Both the Xbox Music website and Google Play app store listing now redirect to Microsoft Groove. There’s no difference in functionality, though the color scheme has switched from Xbox green to Microsoft blue. Like its predecessor, Groove music consists of a few different services. Users can play music from OneDrive cloud storage for free, and they can purchase and play music from Microsoft’s digital storefront. There’s also a $10-per-month subscription service, Groove Music Pass, that offers Internet radio stations and millions of on-demand tracks. 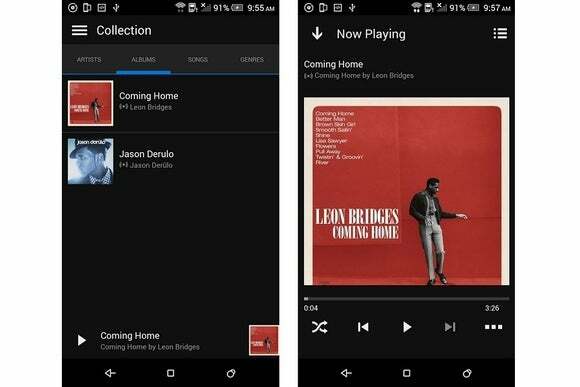 The rebranding comes just a few weeks after Microsoft released a major update to its Android app, with support for offline music and the ability to play songs from Microsoft’s OneDrive cloud storage. The Xbox Music app for iOS received a similar update in early July, but hasn’t yet taken up the Groove moniker. Groove music is also available on Windows, Windows Phone, and Xbox. To coincide with the launch, Sonos has announced beta support for Groove music on its multi-room audio system. Users can find it in the Sonos app for phones and tablets, and in the Sonos Labs section of the PC and Mac controller. Why this matters: The battle for streaming music is intensifying with Apple Music entering the fray, and Google Play Music bringing ad-supported radio stations to its free service. Microsoft needs more than shiny new branding to keep up, though the arrival of Sonos support and OneDrive integration on all platforms is a good start.